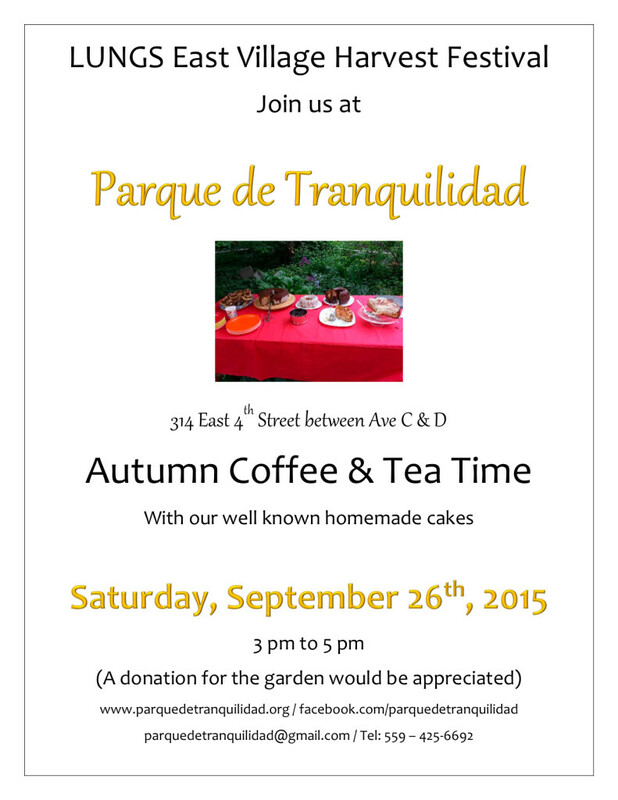 The LUNGS Harvest Festival in the East Village is this weekend and Parque de Traquilidad would like to invite you to Autumn Coffee & Tea Time on Saturday, September 26, 2015 from 3:00pm – 5:00pm. For information about this upcoming event, please contact us at Land Trust Members or you may call (212) 244-2288 or 559-425-6692. See flyer for more details. We hope to see you there!